For a luxurious ride in style, JC Jags will ensure you have the time of your life with premium Yarra Valley Classic Cars. 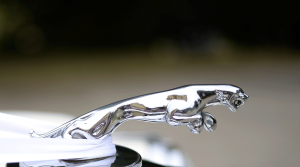 Our range includes stunning classic cars including from 1950 Jaguar MK-V Sedan, 1954 Jaguar MK-VII Sedan and 1985 Jaguar Sovereign. 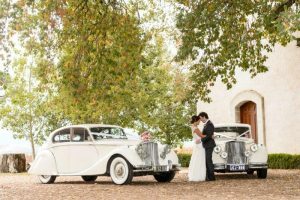 These cars are sure to be reminiscent of vintage class and style and will definitely make your day feel that way! The smooth lines, beautiful leather upholstery, sunroof, walnut dashboard and fully-restored look will compliment any special day. With plenty of leg room and comfortable deep seats, even the largest wedding gown will fit! We aim to make our Yarra Valley Classic Cars a memorable part of your night. So, our chauffeurs will treat you to the full red-carpet service. This includes your choice of ribbon trim and a bottle of champagne! Every one of our Yarra Valley Classic Cars are chauffeured by professional, uniformed and timely men and women creating the ultimate experience for you. We cater for a range of events, including weddings, formals, debutante balls, parties, race days, festivals and other special events. Our classic cars can be hired either for an hourly rate for those with a varied itinerary or a flat rate if you have a definite timeline of your night. For those with a larger party of guests, three-car packages are also available. JC Jags is a licensed member of the Victorian Taxi Directorate. We are committed to providing a quality service and to ensure you have premium Yarra Valley Classic Cars ready for you to hire. We have a range of happy couples who have used our JC Jags car hire service with great feedback – read more here. 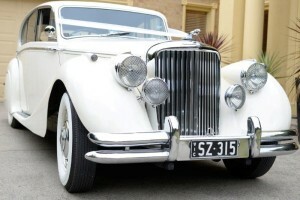 For your next classic car hire, contact us today at JC Jags – a quality hire of Yarra Valley Classic Cars.